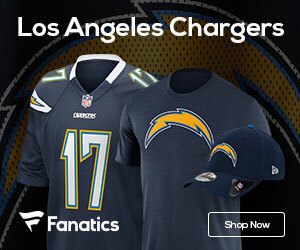 « Poll: Who Wins Sunday’s Ravens at Chargers Showdown? Somehow, someway, the Chargers still have a shot at the playoffs in the AFC. This despite how poorly they have played at points, and also with calls of fans wanting Norv Turner canned. Sunday the team has another shot to take a step towards a wild card in the AFC, as the team will host Ray Rice, Joe Flacco and the AFC North leading Ravens. These two teams met in San Diego last season, and when they did on December 18th, Baltimore was 10-3 with a four-game winning streak and on its way to the AFC North title. 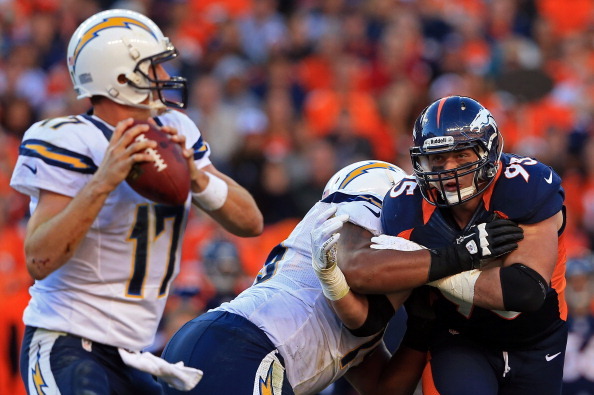 The Chargers, meanwhile, were 6-7 after rebounding from six consecutive losses and still alive in a weak AFC West. Records and momentum ended up playing no role as San Diego (4-6) rode an excellent performance from Philip Rivers to a 34-14 victory. Philip Rivers went 17 for 23 for 270 yards and a touchdown to lead the Chargers to scores on six of their first seven possessions. He didn’t throw an interception, and the only sack the Ravens got was wiped out by a personal foul on Terrell Suggs. In his last three starts against Baltimore (8-2), Rivers has won twice while going a combined 67 for 103 for 955 yards and six touchdowns with three picks. At least the Ravens know they won’t have to face Rivers without Ed Reed as the last line of defense. The eight-time Pro Bowl safety was suspended one game on Monday for repeated helmet-to-helmet hits, but appealed the suspension and on Tuesday the punishment was reduced to a $50,000 fine. Baltimore has many reasons to be excited after it matched the best start in team history with a 13-10 victory at Pittsburgh on Sunday night. Reserve cornerback Corey Graham had an interception and knocked a pass away in the end zone, while Jacoby Jones returned a punt 63 yards for a touchdown as the Ravens opened a two-game lead in the AFC North. Winning a championship appears to be something the struggling Chargers can only dream about now. They all but ceded the AFC West to the Broncos with Sunday’s 30-23 loss at Denver and are now left with only a desperate shot at a wild-card spot after their fifth loss in six games. San Diego is in danger of posting its first losing season since 2003, when it went 4-12, and rumors continue to swirl that coach Turner will be fired if the team misses the playoffs for a third straight season. For whatever reason, the Bolts to me have the edge in this game. They should be able to put up big numbers on both sides of the ball, and I think they get out of this one with a huge win sending the Ravens home losers like in 2011.